Have you been cheering on Team USA in the winter Olympic games? Are you planning anything special for President’s day? This is a cute, simple, and delicious treat perfect for demonstrating our love for the red, white and blue. You can customize your Fruit Pizza recipe to include your own favorite toppings or colors and it makes a quick and easy treat perfect for parties, too. To make this yummy treat, you’ll first make a sweet pizza crust. Combine your crust ingredients and then press out your dough into mini pizzas or into one larger pizza crust. Pop the crusts into the oven and bake for 15-20 minutes at 325º F, or until you notice the edges becoming lightly brown. Let your pizza crusts cool slightly while you prep your toppings. In the picture above, I used cream cheese as my spread but you can use anything you’d like. Try our fruit dip spread recipe, peanut butter, marshmallow spread, or nutella for variety. Next, add your pizza toppings using a variety of fruits. 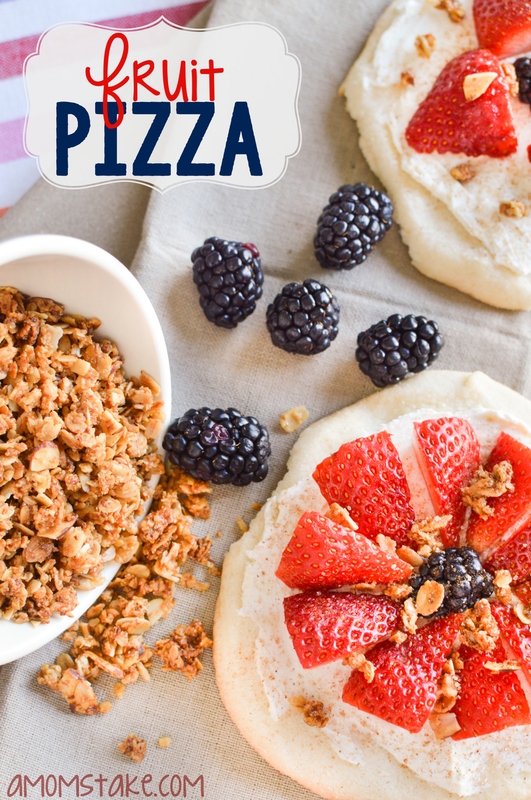 Granola works great on these mini fruit pizzas also. You can also top your treat with yogurt. Then, finish off your fruit pizza with a little sprinkle of cinnamon sugar and enjoy! Press the dough out into mini pizzas or one large pizza crust. Bake at 325 degrees for 15-20 minutes or until you start to see the edge become brown. Allow crust to cool a few minutes before adding toppings. 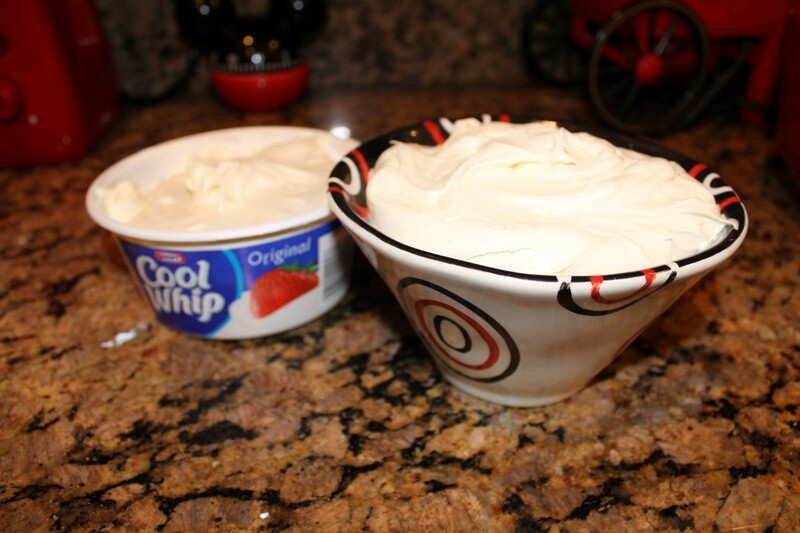 Then you can add whatever topping you'd like, marshmallows, cream cheese, fruit dip spread, or peanut butter. After you add your spread or base, add your favorite fruit and toppings. You can also include some yogurt and a little sprinkle of cinnamon. Head over to try the Best & Easiest Fruit Dip Recipe Ever! What toppings would you add to your Fruit Pizza?